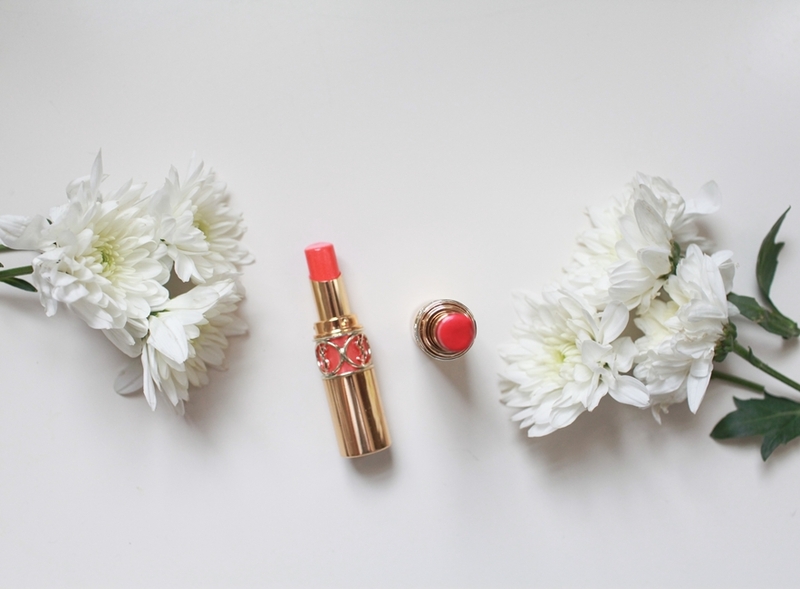 YSL lipstick has been a favorite of mine and their formula is perfect. Here is my review of YSL Rouge Volupte Shine lipsticks in #14 Corail in Touch, #06 Pink in Devotion, and Rouge Pur Couture in #203 Rouge Rock. 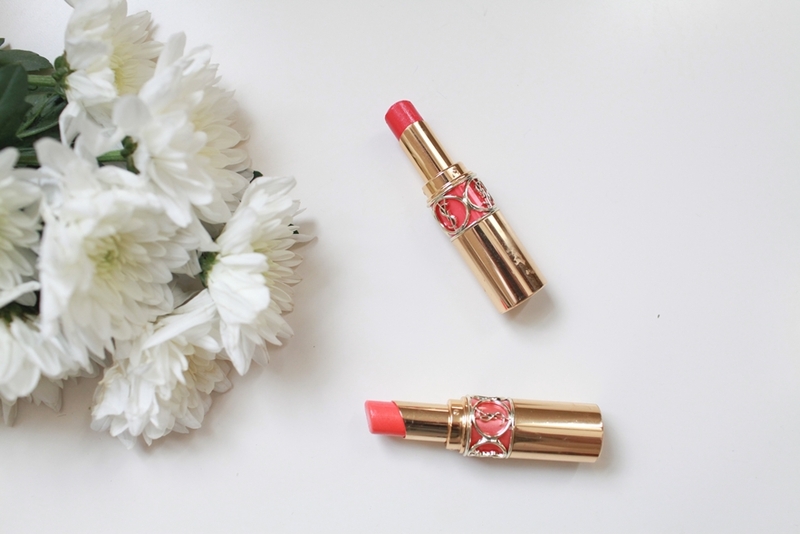 YSL Rouge Volupte Shine lipstick collection has been my absolutely favorite. It has creamy and moisturizing texture. My lips still feel great without applying a lip balm underneath. Plus, it’s highly pigmented and intense luminous. 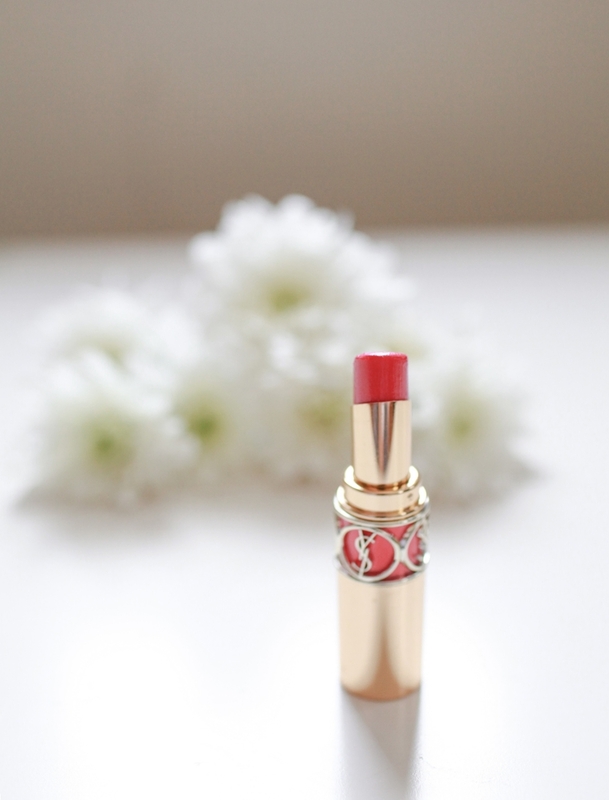 I also love YSL Rouge Pur Couture The Mats collection and own one in Rouge Rock. 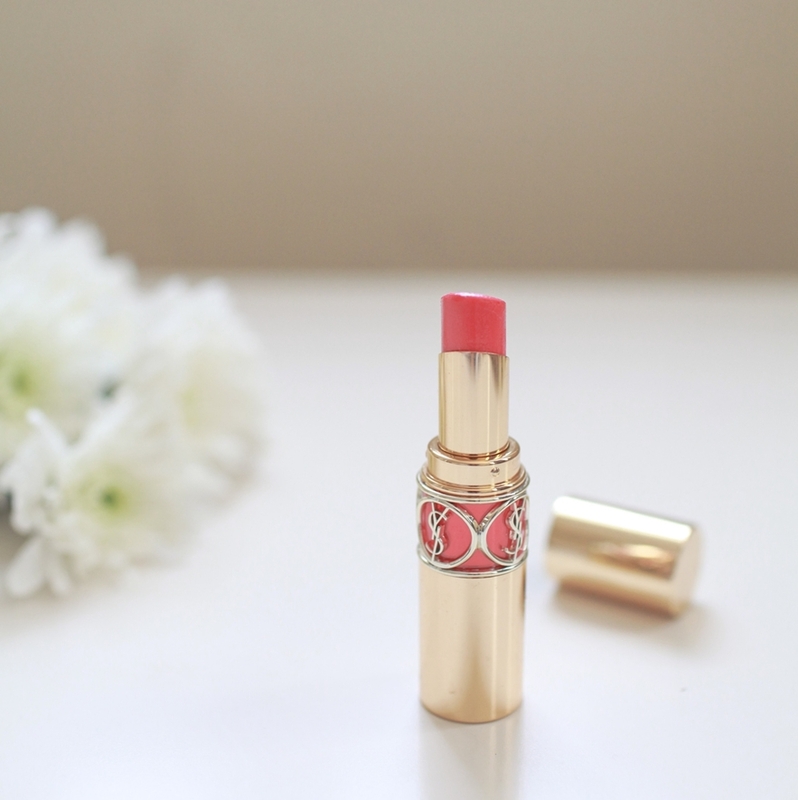 For my outfit posts in my blog, I almost never wore other lipsticks but YSL ones. 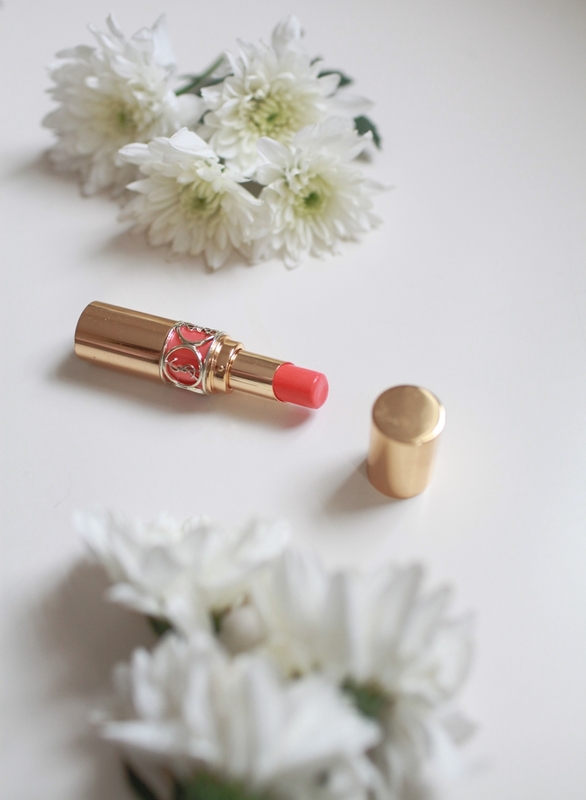 YSL Corail in Touch is my most frequently used lipstick among my YSL lipstick collection. It’s a vibrant and bright orange shade and provides a luminous shine finish. The texture is creamy and glides on so smoothly to my lips. The moisturizing formula is comfortable and goes on evenly. Although it looks shinny and may appear to have sparkles, it has no shimmer neither glitter. 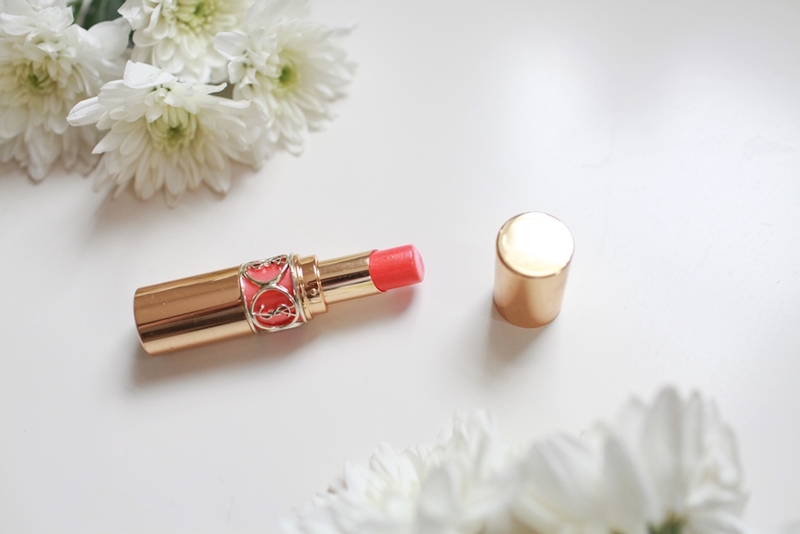 The bright tangerine shade of YSL Corail in touch reminds me of summery Gerbera Daisies under the sun light. YSL Rouge Rock is part of Rouge Pur Couture The Mats collection. For red lips, I personally prefer matte over glossy ones. The red pigment in matte is subtle yet intense and attractive. The packaging is not luxurious as Rouge Volupte Shine Collection, but the gold metal case with YSL logo embossment on the side is still very classy. 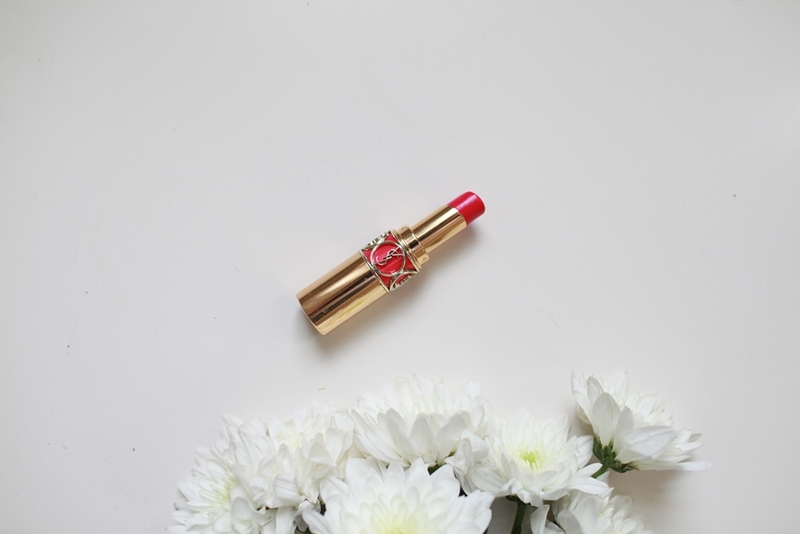 Although most matte lipsticks tend to dry out lips, the formula of YSL Rouge Rock is rich and velvety smooth. Infused with moisturizing jojoba oil, I don’t feel dry while having it on my lips. 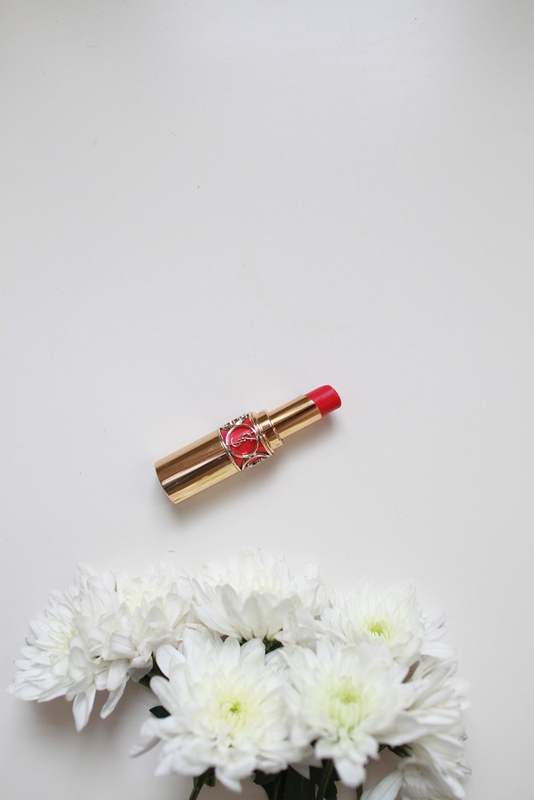 For the staying power and pigmentation, it outlasts many lipsticks formulations on my lips. It gives me the perfect creamy matte finish with one single swipe. 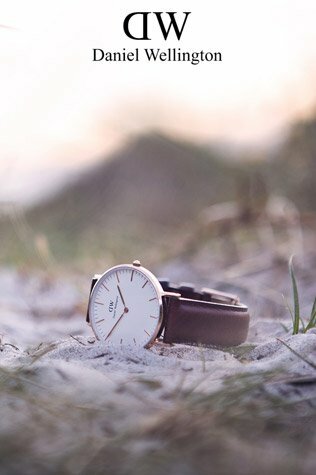 And it lasts for several hours after wear time. 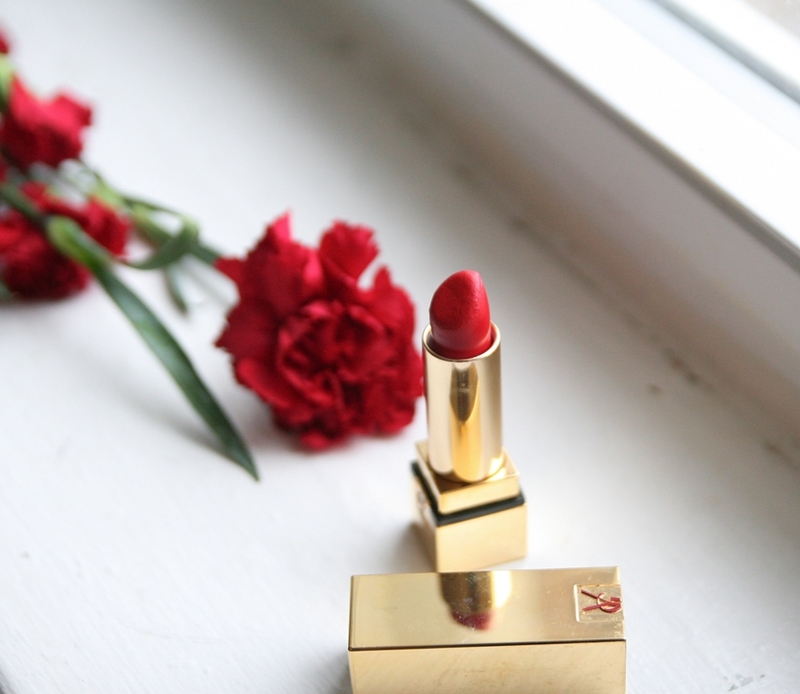 The overall effect of YSL Rouge Rock reminds me of red carnations, classy and feminine.